There will be a number of attractions throughout MCM Manchester Comic Con. Bringing you the best dealers from across the UK, the chance to buy collectiblex, Anime, Trading Card, Manga, DVD’s and a whole load more. 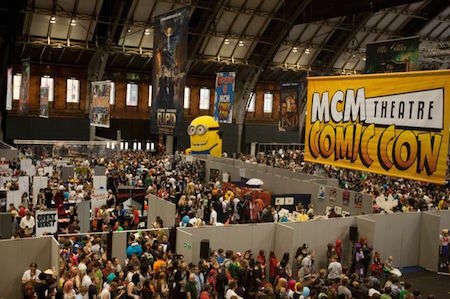 MCM Manchester Comic Con gives you the chance to meet stars from both Big and Small screens along games experts and voice artists. At MCM Manchester Comic Comic we celebrate Cosplay or ‘Costume Play’ in conjunction with out Totally Cosplay area, we also hold a Masquerade on stage. See robots from BBC’s smash hit TV show ‘ROBOT WARS’ fighting it out live! Experience the EXCITEMENT of the Robots fighting LIVE in a purpose made arena. Tickets are £14, payable on the day.